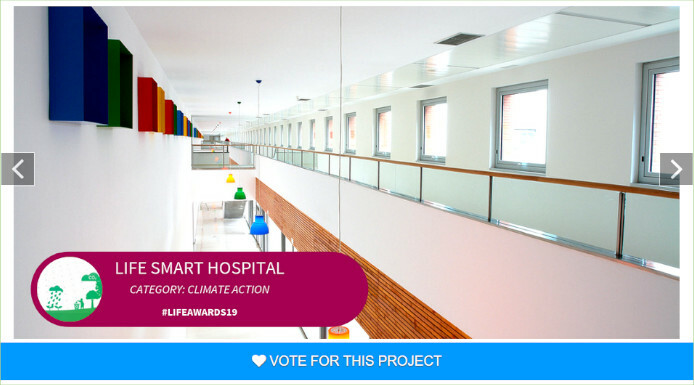 The main goal of LIFE SMART Hospital is to increase the resilience of hospitals to climate change by developing action plans based on best practices, customized training and potential for replicating the experience. These action plans are structured, as demonstrators, along three axes: energy, water and waste, with the aim of reducing the carbon footprint of the hospitals and moving toward carbon emission neutrality. 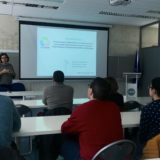 The LIFE demonstrator experience will be held at the Rio Hortega University Hospital (HURH) in Valladolid (Spain), and intends to be a real example of the environmental, operational and economic benefits obtained. 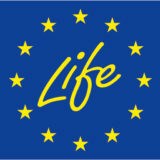 LIFE SmartHospital project, nominated for the best european LIFE 2019.